Pakhtunistan: flag adopted upon independence 2 September 1947. The proportion of the flag is quoted as 1:2, but later was used in 2:3. The Arabic scripts are the Takbir (i.e., Allahu Akbar = "God is the greatest") above the emblem, "Pashtunistan" below it. 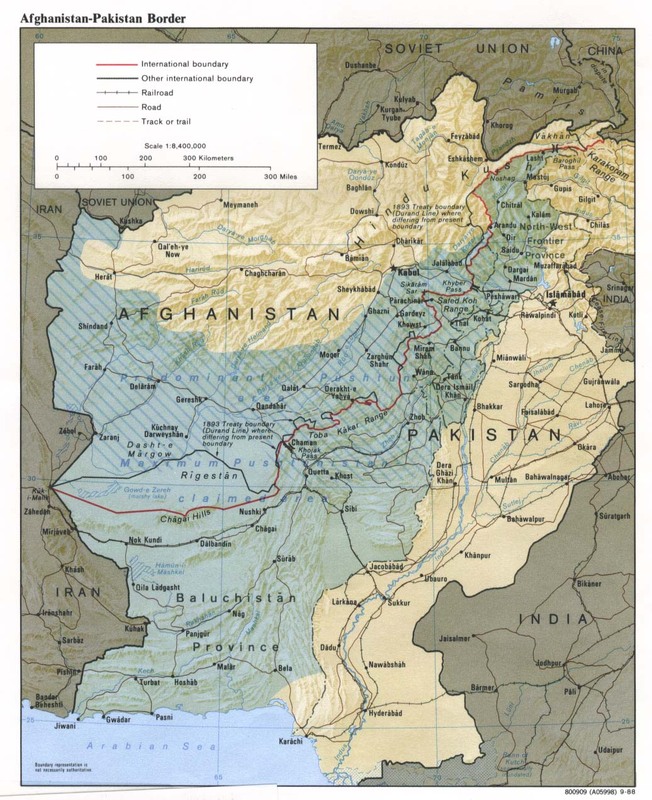 "Pashtunistan (Pashto: پښتونستان‎, Pax̌tūnistān; also called Pukhtunistan,or Pathanistan, meaning the "land of Pashtuns") or Greater Pashtunistan is the geographic region inhabited by the indigenousPashtun people of modern-day Afghanistan and Pakistan. Alternative names historically used for the region included "Afghānistān" and "Pashtūnkhwā" (for present Khyber Pakhtunkhwa province specifically, since at least the 3rd century CE onward)." The flag above can be seen wrongly displayed as having a central back stripe (http://i.colnect.net/images/f/2191/997/Pashtunistan-Flag.jpg, source: http://colnect.com/en/stamps/stamp/486881-Pashtunistan_Flag-Pashtunistan_day-Afghanistan and http://i.colnect.net/images/t/1772/867/Pashtunistan-flag.jpg, source: http://colnect.com/en/stamps/list/country/10084-Afghanistan/series/144937-Free_Pashtunistan_Day); a wider logo with inscription inside (http://fdc4all.com/images/Afg-123.JPG, source: http://fdc4all.com/index.php?main_page=product_info&products_id=4651); and even plain red background with white outline (http://i.colnect.net/images/f/2152/260/Man-with-Pashtunistan-flag.jpg, source: http://colnect.com/en/stamps/stamp/432022-Man_with_Pashtunistan_flag-Pashtunistan_Balutchistan_Day-Afghanistan). Pakhthunistan: flag hoisted in the months previous to the independence (obverse side instead of reverse side as in my pages). The Arabic script to the right (first word) says "Pashtunistan", the drawing of the second (i.e. the one to the left side) is not exact enough to read.